Nancy provides administrative support to the school at CTL. 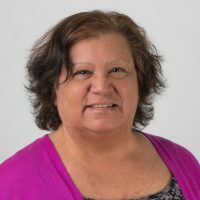 Nancy has worked in the non-profit community in Brookfield as an Office Manager and Administrative Assistant for the last fifteen years. She has studied business with a focus in organization and change. The experience of working with families and students has given her a deeper appreciation for how non-profits value their beliefs, witnessing the quality of kindness, concern and compassion for others. In her free time, she enjoys time with her daughters, grandchildren, hanging out with friends and trying very hard to be the best “Armenian” cook in Waukesha. She currently resides in Waukesha with her cat, Neko.